No matter what season of motherhood you find yourself in, God can use this time to make you more like His Son – and a better mom, too! 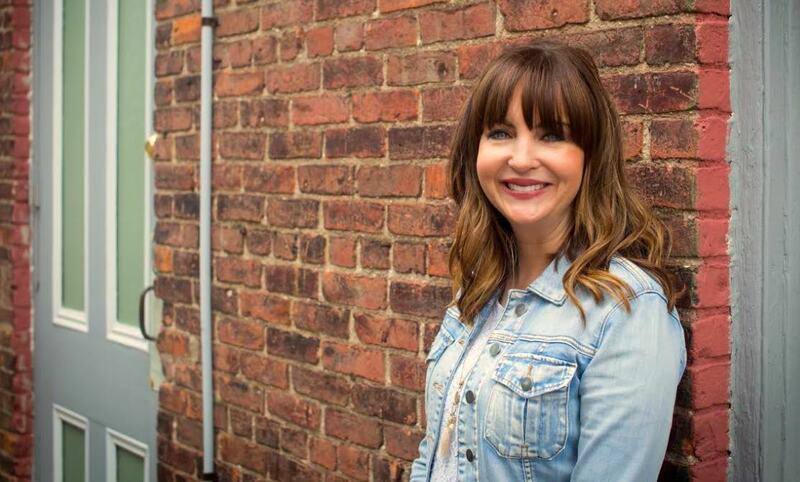 Let's chat with the founder of the The Better Mom blog, Ruth Schwenk, about her new devotional! Mothering is hard work and there is an immense amount of pressure to “get it all right” as a mom. But there is more to being a mom than the extremes of striving for perfection or simply embracing the mess. We don’t need to settle for surviving our kids’ childhood. We can grow through it. My sincere desire is that moms can find freedom from the mom-guilt, the myth of perfection, and the endless to-do list of motherhood, and rediscover the gift of motherhood through The Better Mom. 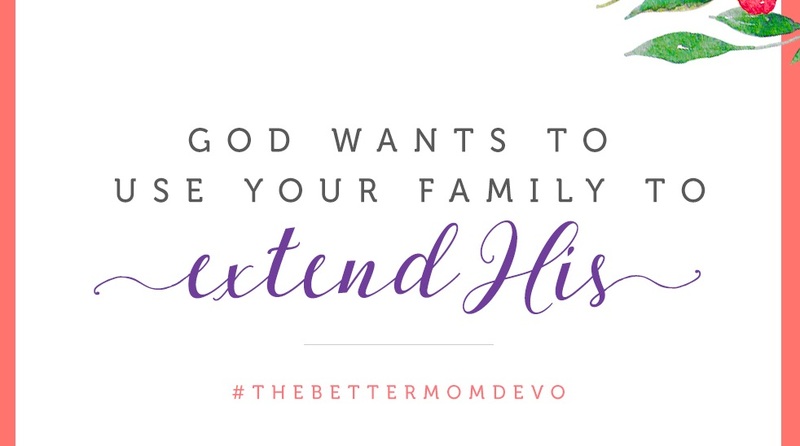 It isn’t about being “the better mom”, it’s about becoming better by becoming more like Jesus. Just as God is using us to shape our children, God is using our children and motherhood to shape us. How can mothers shift their focus from having a 'weary' life to a 'worthy' life? Moving from a weary life to a worthy life involves a shift in perspective. When we live weary, we give in to the pressure and overwhelming life around us. When we live worthy we recognize our circumstances as a way to grow us and change us. It doesn’t mean that life is easier or isn’t weary at times, but it is taking the hard circumstances and letting them change you for the better. How can we, practically, become better moms? Practically becoming a better mom isn’t so much a list to accomplish, but who we are becoming. I firmly believe that becoming better is a lifelong, step by step process whereby we are being transformed. It is spending time with the Lord and gaining wisdom from the Word. It is stealing five minutes here and there to just stop what I am doing and pray for His help and guidance. As we grow and work on ourselves, we become better, not just as moms but as women too. How do you stay close to Jesus? Staying close to Jesus is my literal lifeline. There is no other place we can go for peace in the midst of the changing circumstances of life. I spend a short amount of time in the morning reading my Bible just to get myself centered for the day. Throughout the day I have alarms set on my phone to remind me to pray. I listen to (and sing along with!) praise and worship music whenever I can. Beyond that, I also love to participate in group Bible studies. I have found that staying close to Jesus looks different depending on what season I am in. For example, when the kids were really little I was not getting up before them because I was exhausted and they got up really early. So I would find time during the day or at bedtime to read my Bible. Today, I can sit in my living room and enjoy a cup of coffee while reading my Bible first thing in the morning for much longer! Whatever season you find yourself in, just “keep showing up”. Little by little, over the course of our lives, we become closer and closer to Jesus. How do you make Jesus a staple in the lives of your children? Over the years we have tried our best to make family devotion time a priority. This doesn’t mean we do devotions as a family every night, but even if we take a few weeks off, we always come back to studying the Bible together. As the kids have gotten older, we have also tried to help them cultivate their own personal quiet time with the Lord by reminding them of the importance of learning about Jesus. Another area we have tried to make prominent as our children grow is helping them to apply their faith to their circumstances. Whether they are going through a hard time with a friend, or having a bad attitude towards school, whatever it is we can point them back to what is really going on in their hearts and what the Bible has to say about it. With all of that said, I think overall one of the most important things we can do in passing on faith to our children is live out a real, genuine faith in front of them. We can’t pass on what we don’t possess ourselves. They are watching us and learning from us. Can you tell us about your online resource, the 'Better Mom' blog? Why did you start it? I remember several years ago, sitting on my couch after a very long day with the kids wondering if what I was doing as a mom even mattered. I was overwhelmed, emotional and alone. I was doing all I could just to survive the days. I knew I couldn’t be the only mom who felt this way. Just about that time blogs were starting to become popular. I was reading and learning from so many different moms, but I wanted them all together in one place! My idea for TheBetterMom.com was born. TheBetterMom.com is a community website with around 20 different contributors from all different backgrounds and in different seasons of life. It is a place where we as moms can come together in the midst of our not-so-perfect lives to learn and grow in grace and wisdom together, as we live out our calling as moms. What's your go-to Bible verse? This verse is a reminder for me that making time with the Lord a priority now, prepares me for what’s ahead. When I know His name – His unchanging character, I can trust Him. He is my sovereign, faithful Father who loves me. If you could go back and give yourself advice about motherhood, what would you say? Oh, this sounds so cliché, but it is so true. I would tell myself to enjoy the journey. Don’t rush the season. The years really do fly by. One day you will look back and wonder how your baby has only two more years left at home and you’ll find yourself trying to squeeze everything out of the moments you have left with them. 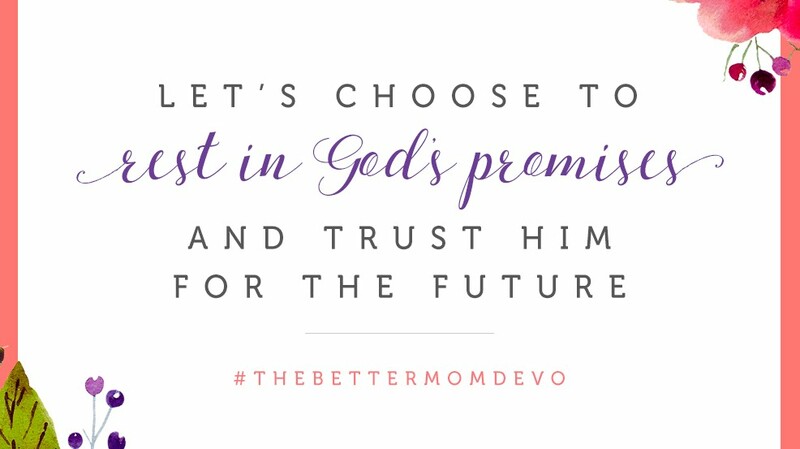 Pre-order The Better Mom Devotional today!